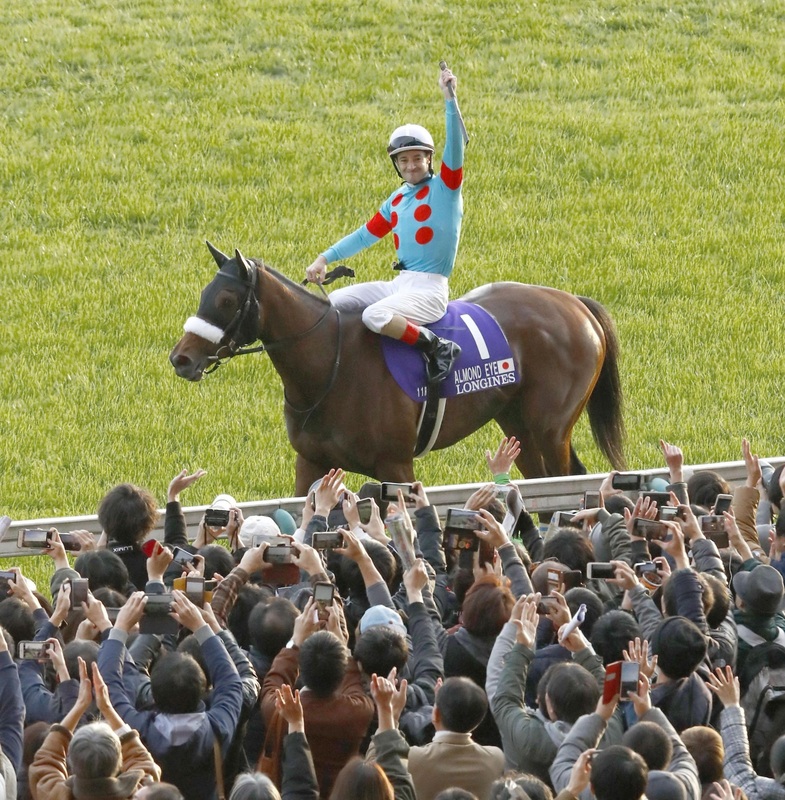 Top pick Almond Eye, who completed the Japanese fillies’ Triple Crown last month, won the Japan Cup for her fourth Grade One victory on Sunday. Almond Eye, ridden by jockey Christophe Lemaire, was behind fourth-pick Kiseki for most of the 2,400-meter race but came from behind in the final dash, crossing the line in 2 minutes, 20.6 seconds. Kiseki finished runner-up at Tokyo Racecourse, 1¾ lengths behind Almond Eye. Second-favorite Suave Richard was third, followed by Cheval Grand, who won this race last year. Almond Eye won April’s Oka-sho at Hanshin Racecourse for her first Grade One title, before winning the Japanese Oaks and Shuka-sho to become the fifth horse to complete the Triple Crown.